New 2019 season starts early with regular cruises limited to weekend only. Sales of tickets is available on-line about one week before the cruise date. Private cruises are available all the time and can be booked any time in advance. Calendar below is showing schedule with space availability. 45,00 PLN - standard ticket. We do not have reduced tickets on evening cruise. Ticket includes tea or coffee, Polish apples, candies and access to WiFi. Non-alcoholic beverages are available to buy on board. Tickets can be purchased on-line or on the ship (if there are free spaces). All prices include 8% VAT tax. In order to buy your ticket on-line check the calendar, double-click the selected cruise and proceed as instructed. 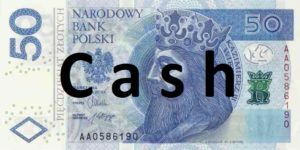 We accept the following payment methods: Online payment with Paypal and Dotpay - settlement of transactions by payment cards and e-transfer are carried out via Dotpay.pl. On the ship: cash, credit/debit cards and blik. While performing the transaction with a payment card, the system may additionally request verification of the card holder by entering the three-domain authorization code or the code on the card - CVV2 (Visa), CVC2 (MasterCard).